There are good & unique services with the card. There are good travel goods of the card. You can also earn some insurances with it. 10.99% APR is good for balance transfer and purchases. 2.99% Balance Transfer APR for first 6 months will help you to avoid high APR rates when you begin to use the card. The annual price is reasonable. The bank has no statements about how much rewards points you can gain through this card. We recommend you to contact to the bank before the application. Rewards points are redeemable for airfare, merchandise, and gift card rewards. 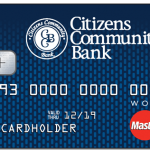 Citizens Community Bank World Card is a reward credit card of the company with annual fee. You won’t need to pay for foreign transactions with this card. The annual fee is $25. Interest rates are very low. The APR for purchases and balance transfers is 10.99%, for Cash Advance is 14.49%. Balance Transfer APR is 2.99% at first 6 months. 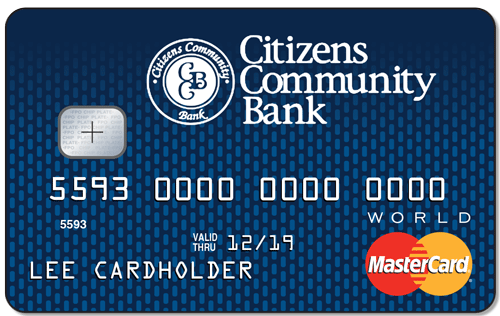 You can also earn rewards with Citizens Community Bank World Card. However there is not any bank statement for rewards. You will need to contact to the bank for get more information on that. You can redeem those rewards only for airfare, merchandise, and gift card rewards. There are more rates about the card below. You will also find user reviews and editor scores.